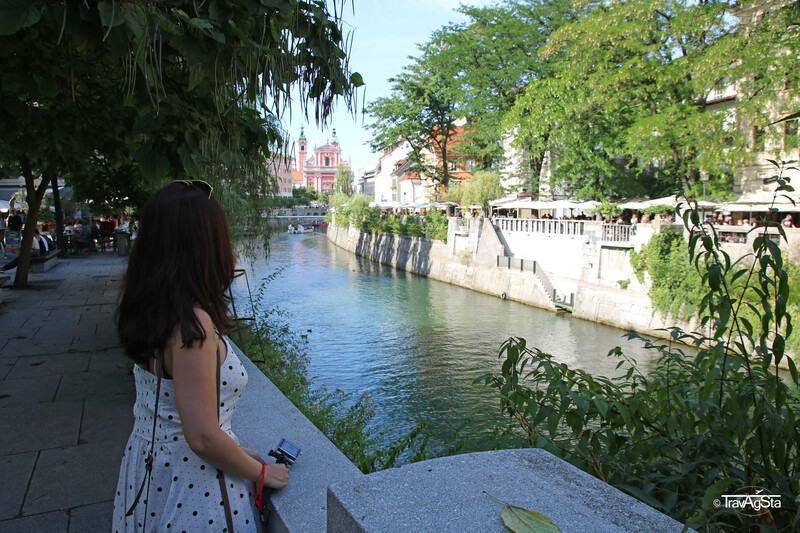 Ljubljana, Ljubljana, Ljubljana… I could repeat this name over and over again, I love it. 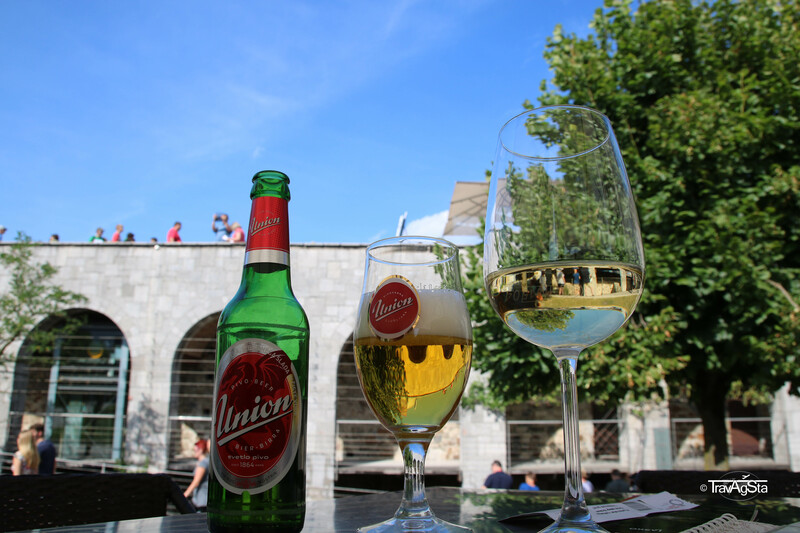 Ljubljana means ‘Beloved City’ – this alone is enough reason to love the city. There are different theories and sources, but this is the one I personally like most. What a shame Austrians still call it ‘Laibach’. It’s a long time ago, we’ve explored a city and were in totally excited about it. 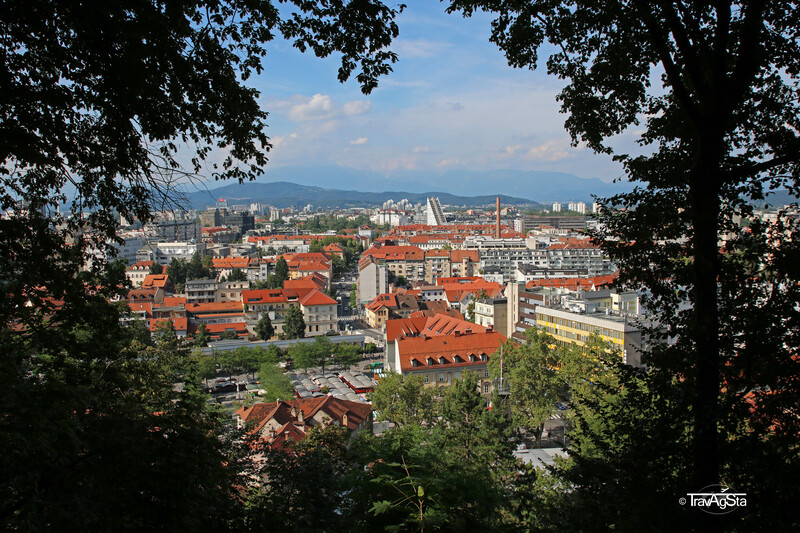 Though there’s actually not so much to see in Slovenia’s capital. 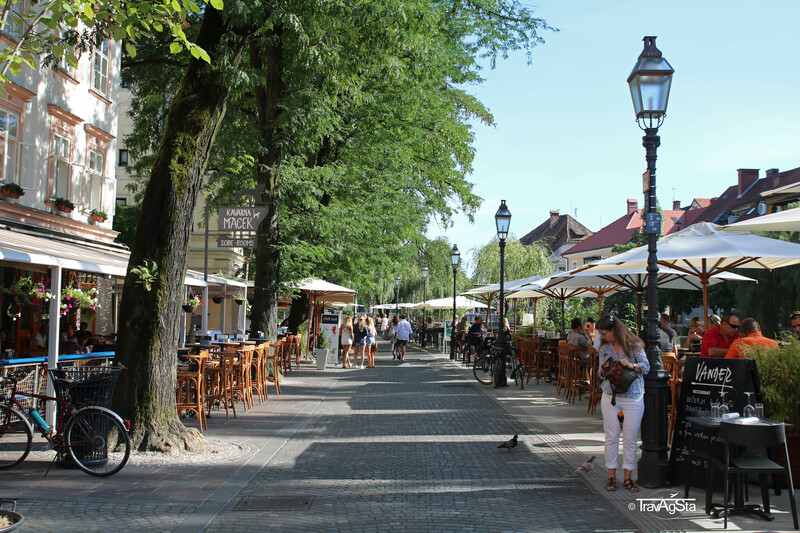 Surely, it was the mixture of a perfect summer day, beautiful squares and a great atmosphere. People are so friendly in Ljubljana. Just like in the rest of Slovenia. I would love to see Ljubljana again, but I’m afraid the memories won’t be as good as they’re now. 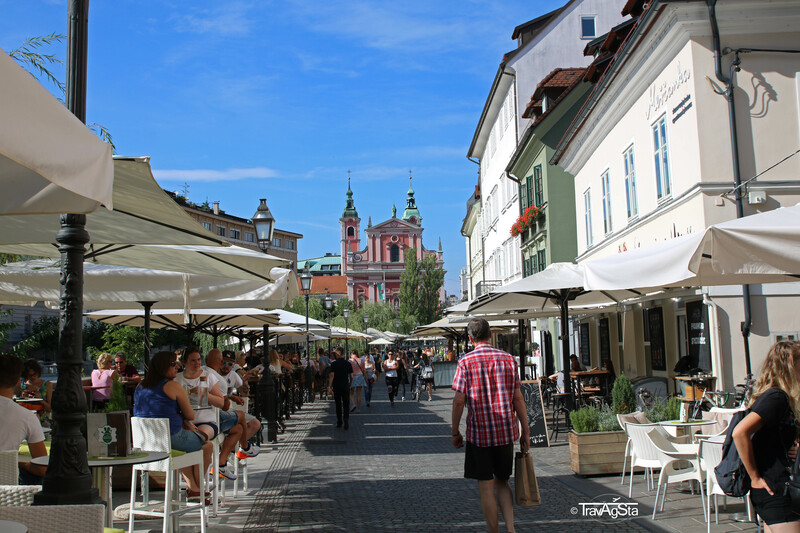 As Ljubljana only has 300.000 residents, there is no big city life here. And it doesn’t need it: The ‘Beloved’ is colourful, lovely and charming. 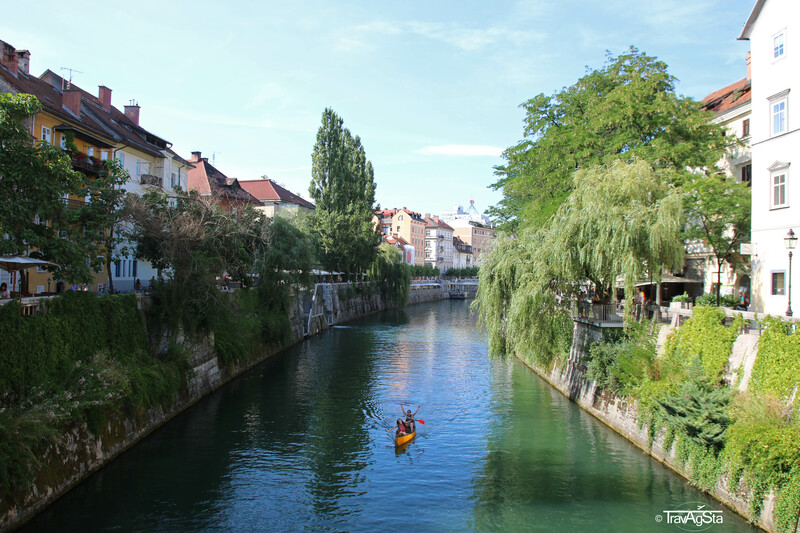 You can see everything very quickly and afterwards enjoy the great atmosphere at the Ljubljanica River. Ljubljana is just a little bit more expensive than the countryside. But it’s still not expensive. 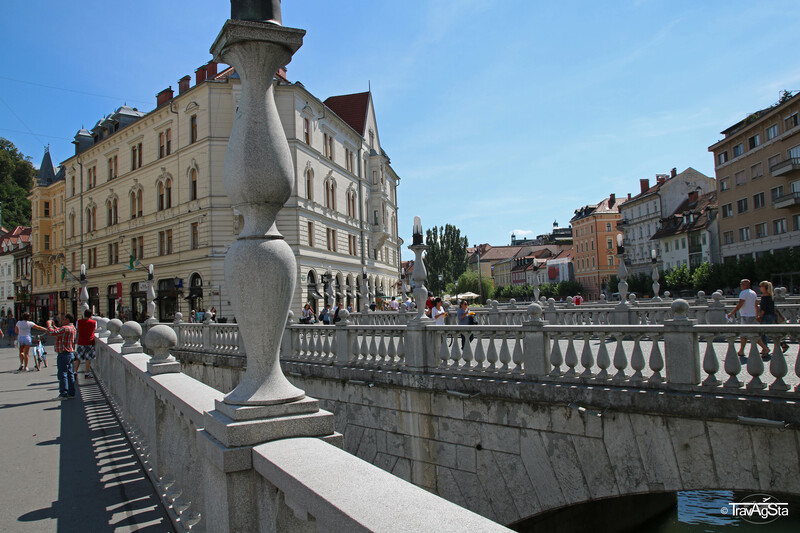 Ljubljana is Austria with Mediterranean flair. That’s the best way to describe it at least for summer. Maybe it’s different in winter. 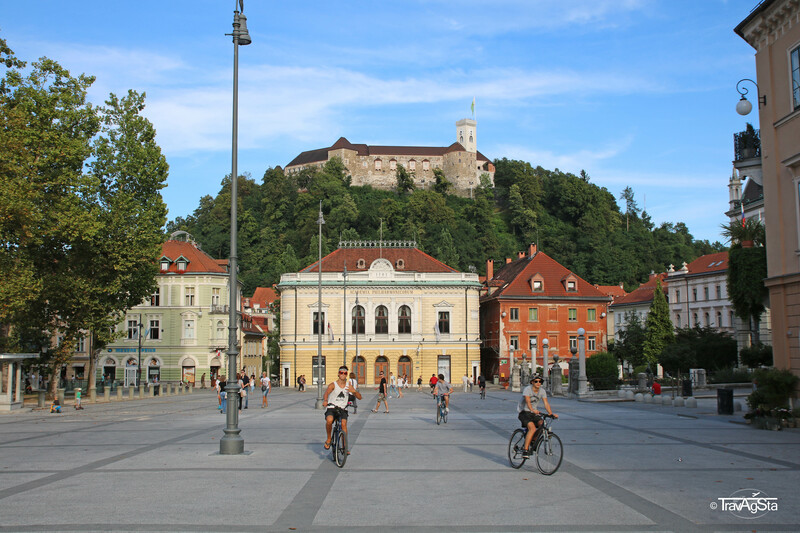 Ljubljana was awarded the European Green Capital of 2016. Totally right, once you’ve seen the pedestrian only Old Town and realized how fresh the air is. When in the Old Town, you’re going to pass it anyway. The Tromostovje is the city’s landmark and means ‘the Triple Bridge’. It’s next to the Main Square. 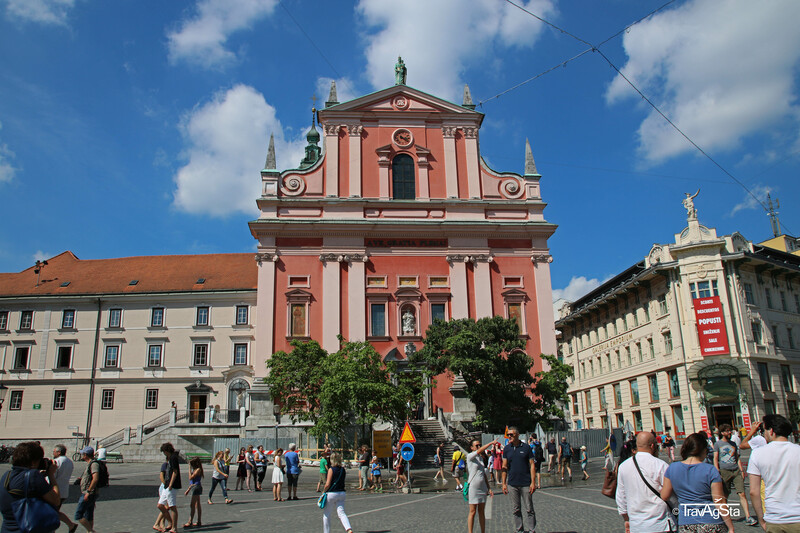 This is the city’s Main Square and together with the beautiful pink church from the 17th century, it’s another landmark of the city. 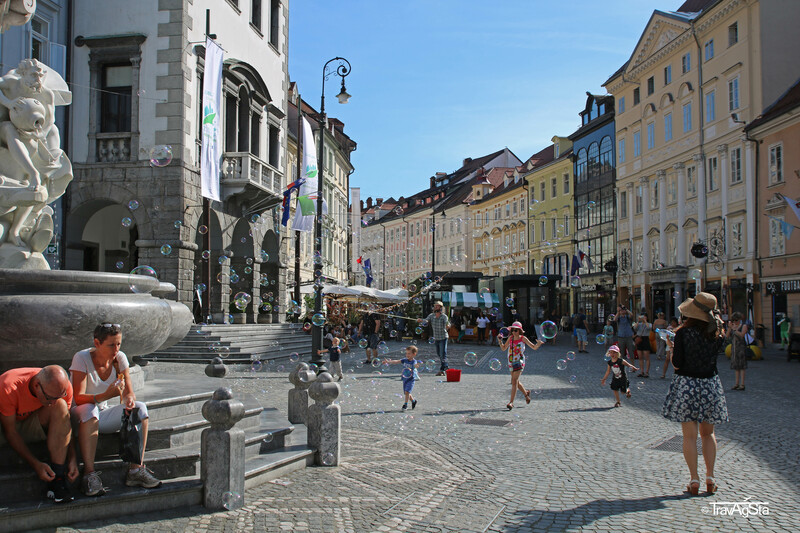 This Main Square is surrounded by many cafés and restaurants along the Ljubljanica River. We could have spent hours here. Unfortunately we weren’t here at night, but we can’t imagine the atmosphere being going so quickly. 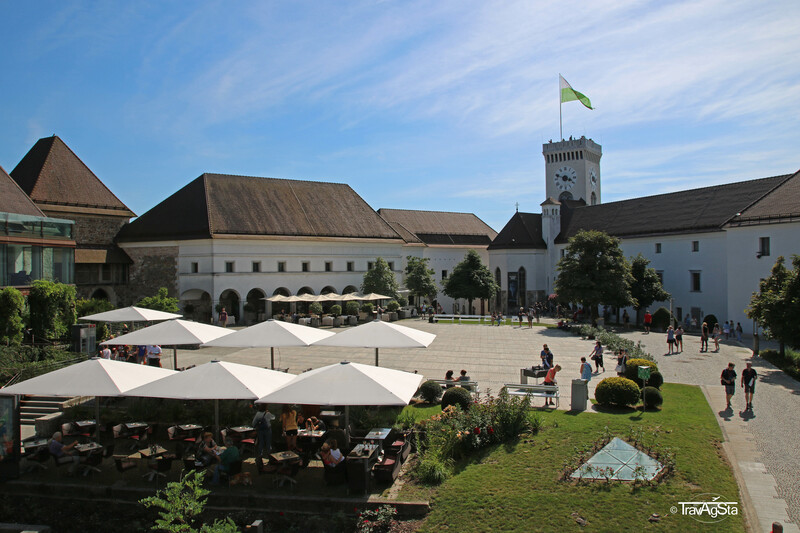 Another sight worth seeing is Ljubljana Castle. You can walk up or take the funicular. 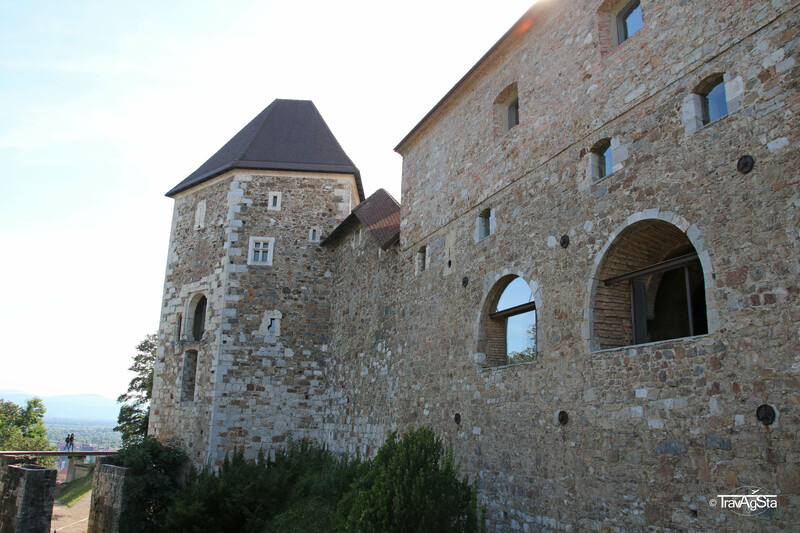 Being at the castle, you can enjoy the view over the city. It’s too bad you can’t see the Old Town from everywhere. There’s just too much green in the ‘Green City’. 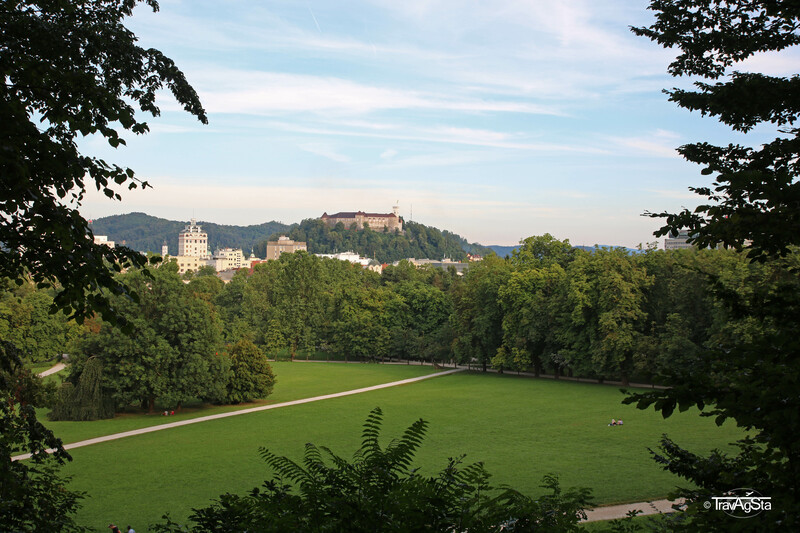 The Tivoli Park is the only place in Ljubljana that’s a sight and outside the Old Town. It’s located north of it and it’s the largest and most beautiful city park I’ve seen so far. It seems like locals love to spend their time here on a beautiful summer day. If you want, take a picnic blanket with you or maybe your sports outfit and do it like the people here. There are tennis courts, basketball courts, etc. ; everyone and everything is here. 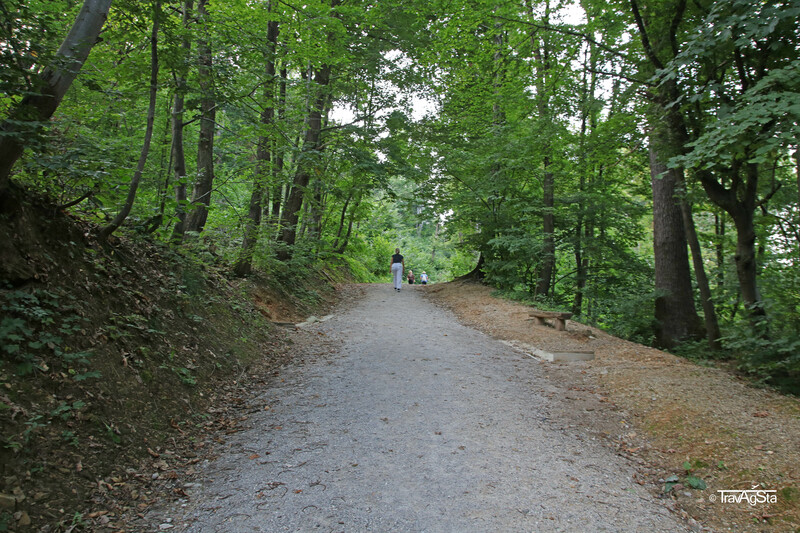 We hoped to see a certain view point and walked up the hill in the park. It’s harder than it looks like as it’s very steep at some places. The walk in the fresh air was worth it, but unfortunately we didn’t find the view point. 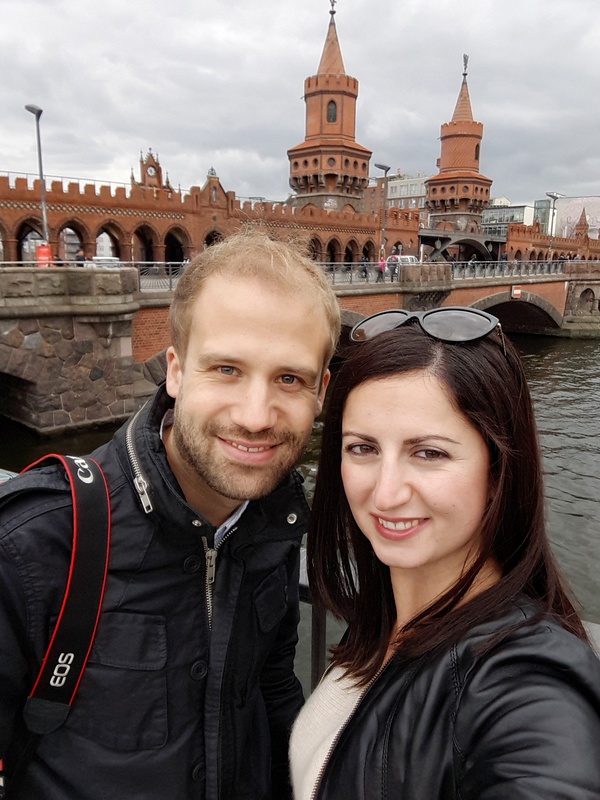 1.The city is really beautiful and has a great atmosphere. You’ll get delicious for decent prices and wine for even better. 2. Ljubljana is a college city. These students hang up in all parks and cafés around the city and spread good vibes. Again this atmosphere. 3. It’s probably the atmosphere and this list useless. As I can’t describe it in words, you just have to see and experience the city on your own. If you know, where we can find the view point at the Tivoli Park, tell us. And if there’s anything else we have to see, tell us too. Thank you! Category „Off the beaten path“: Motley Procida! Road trip through Brittany – Part 2: The South! The island of Senja in Norway, Part 1: What you should know about!